Now new moms, moms-to-be, stressed moms, and every mom in between can use the healing power of crystals to increase energy, improve focus, and stay calm throughout life’s hectic moments. As a mom, you have enough to worry about. Your laundry list of responsibilities grows by the day, not to mention, children are also susceptible to the toxic energies around them. Let the natural, healing power of crystals help align your energy, clear your chakras, calm your mind, and keep you and your child open to love and happiness. 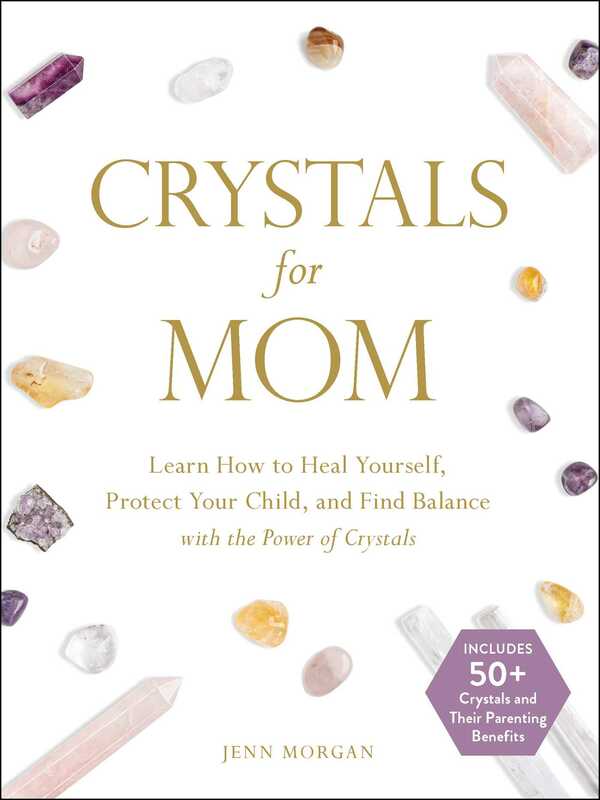 In Crystals for Mom, discover all the ways crystal healing can benefit your specific needs as a parent, with expert advice about which crystals to use for any situation that may arise. Try emerald crystals to soothe children’s nightmares or amber to calm a fussy baby, and black tourmaline to guard against bully parents, or holding rose quartz to remember self-love—each different crystal has a unique purpose and can help your hectic life become calm and fulfilling. Cherish each moment with your little one with this go-to guide that explains all the many benefits of crystals. Learn to select, prepare, and use crystals for meditation and energy healing and even learn tips and tricks to share with your kids, so they too can benefit from the positive energy found in these amazing natural healing stones. Jenn Morgan is the Founder of the Soul Filled Yogi Metaphysical School accredited through the World Metaphysical Association. She is certified in many spiritual practices including; IET, Reiki, Crystal Healing (Master), Life Coaching, Natural Holistic Remedies, and is a 500HR Experienced Registered Yoga Teacher (ERYT) as well as Yoga Alliance Certified Education Provider (YACEP). Jenn has worked as an ambassador with numerous yoga brands including Fabletics, and Jala Clothing, as well as with lifestyle brands like Energy Muse and Chasin’ Unicorns. Her biggest life’s work however is not her brand, or creations, or even her divine connection with crystals, it has been creating her two beautiful children who she says have taught her more in their short lives than any spiritual methodology.